One of your most important company assets is your operations building – especially if you’re in a heavy industry field like manufacturing, food processing, or even distribution. What are the Costs of not Resealing Concrete? Like every other kind of structure or building component, concrete needs to be maintained. While strong, concrete is prone to water damage and other issues that can eventually lead to unsafe conditions, including foundation failure. Deteriorating concrete can easily lead to physical accidents and even present risks to operating your equipment. Additionally, if you work with chemicals, cracks in concrete silos or tank structures can also lead to environmental contamination, incurring legal repercussions. Unresolved concrete issues can turn your base of operations into a major liability. When concrete damages accelerate and spread, your entire operation may need to halt for repairs, which will also incur higher restoration fee. The good news is that you can avoid this altogether. Resealing concrete saves you money on big repairs and guarantees greater longevity for your building, which in turn keeps costs down and production on track. As a rule of thumb, you’ll want to trust your eyes. If concrete walls and structures are looking ragged, it may be a sign that they’re weakening, in which case resealing concrete is a good preventative measure for further deterioration. Cracking Concrete: The most conspicuous sign that you need concrete resealing is the formation of cracks in the walls, floors, equipment grouting, or related areas. Whether by water and environmental causes, or just the constant vibration of equipment and work activity, concrete cracks indicate weakening structures. Resealing theses sections fortifies the weakened areas of the concrete and stops the cracks from spreading. Collecting Water: Another clear indicator of failing concrete is its inability to drain water effectively. Originally, concrete is treated to resist water and environmental conditions, but this will wear off with increased exposure. When this happens water will erode the concrete, causing it to warp and weaken. Resealing the concrete reestablishes an added layer of protection against water, halting further damage. Uneven Sections: Looking over your concrete, you may find that areas of the floor or walls are starting to dip more than other sections, making the surface uneven. This indicates that the foundation of the concrete is starting to weaken due to the elements. Resealing concrete in these sections is essential, but you must act quickly since uneven sections will experience accelerated weakening over time and pose a greater risk of foundational failure, as well as more costly repairs. Concrete resealing is much easier and cost effective than letting your concrete continue to deteriorate, but only if the resealing is applied correctly. You’ll achieve a greater return on investment by entrusting your concrete resealing, and other maintenance, to specialists who can implement repairs for a longer lasting effect. 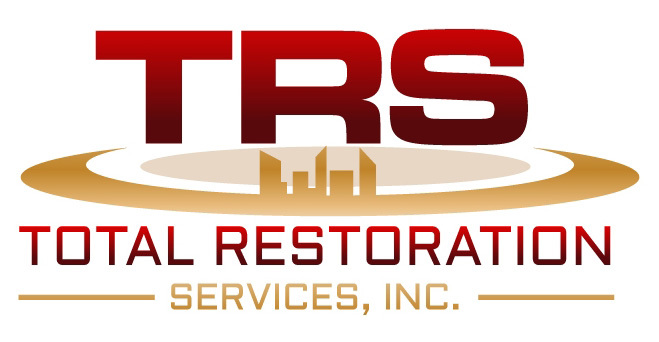 At Total Restoration Services, we leverage over 50 years of combined experience in the investigation, design, and repair of multiple industrial structures to ensure your building remains protected. We don’t just do the job, we work with you to make sure you get the exact treatments your structure needs and develop maintenance plans to keep costs down. At TRS we provide hands-on expertise bringing forth unique solutions for all of your industrial building needs. Contact us today to learn how we can restore your building as good as new.